What more natural a symbol can there be, for a journey that spends four days on the Hawaiian islands, than a Hawaiian dancer? But this image symbolizes much more than Hawaiian traditions, because behind this graceful young lady we can see one of Waikiki’s many hotel towers. 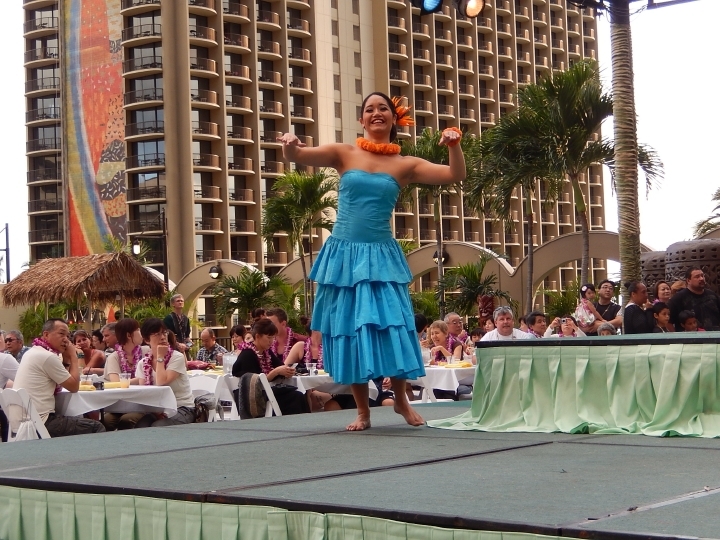 In Hawaii, old traditions are set in the context of a thriving modern State of the U.S.A.